Nobuo Takase Shihan（7th Dan）, is the Chief Instructor of Aikido Shinryukan and Technical Director for New Zealand Aikikai. Shihan is the title given by the World Aikido Headquarters to a master instructor or "professor" of Aikido. Nobuo Takase Shihan is the only person to hold this title in New Zealand and is the senior Aikido practitioner in New Zealand. The title Shihan was presented to him by the Doshu Moriteru Ueshiba, Grandson of the Founder of Aikido, O-Sensei Morihei Ueshiba. Born 6 February 1947 in Himeji, Japan, Takase Shihan began studying Aikido at Kogakkan University in Ise, Japan. His early teachers were Chiba, Kanai, Ichihashi and Watanabe Shihan and O-Sensei the founder of Aikido - and other senior World Aikido Headquarters Shihan in Japan. In 1969, at the age of 22, Takase Shihan emigrated to New Zealand with the intention of introducing the art of Aikido across the country. HAN Wenqi started to practice Aikido in 2002 under the instruction of Takase Shihan, which makes him one of the first people in Beijing to learn Aikido. He currently holds the 4th Dan. In 2006 Takase Shihan appointed him as Head of Aikido Shinryukan Beijing. Stefan Sklenka started to practice Aikido in Germany in 1996. He holds the 3rd Dan and was appointed as instructor of Aikido Shinryukan Beijing by Takase Shihan in 2013. He teaches Aikido at the Haidian dojo. 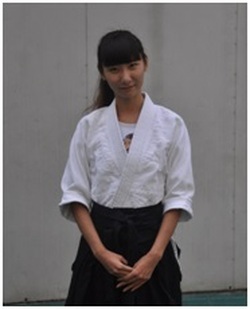 YANG Yexin started learning Aikido in 2013 with Stefan Sklenka. In 2017, he received his Shodan from Nobuo Takase Shihan.